Journeys of Embodiment at the Intersection of Body and Culture: The Developmental Theory of Embodiment describes an innovative developmental and feminist theory—understanding embodiment—to provide a new perspective on the interactions between the social environment of girls and young women of different social locations and their embodied experience of engagement with the world around them. The book proposes that the multitude of social experiences described by girls and women shape their body experiences via three core pathways: experiences in the physical domain, experiences in the mental domain and experiences related directly to social power. The book is structured around each developmental stage in the body journey of girls and young women, as influenced by their experience of embodiment. 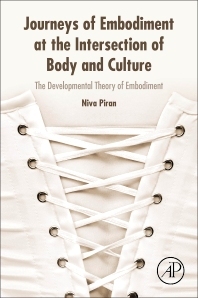 The theory builds on the emergent constructs of ‘embodiment’ and ‘body journey,’ and the key social experiences which shape embodiment throughout development and adolescence—from agency, functionality and passion during early childhood to restriction, shame and varied expressions of self-harm during and following puberty.